Located on the main floor of the OPC, this small shop has a wide variety of gifts, cards, and seasonal items. 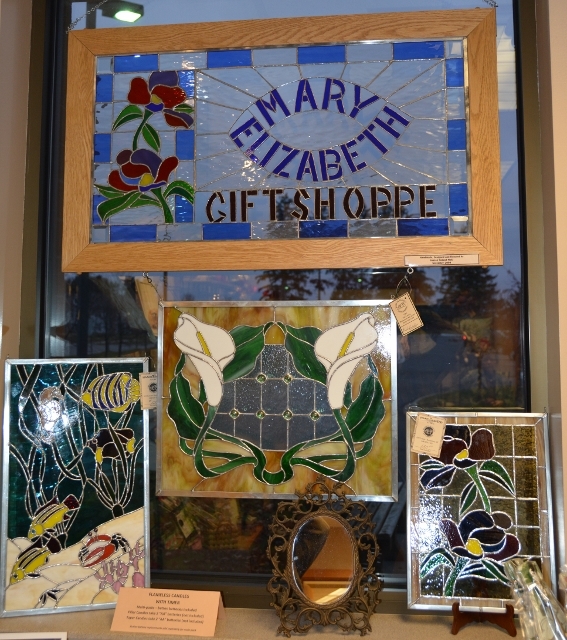 Many of the products are made on site at the OPC woodshop, or the craft, stained glass and pottery studios. These members donate their work, made in the building, to be sold in the shop. Proceeds benefit the operations of the OPC. Volunteers help oversee the day-to-day operations of the shop.